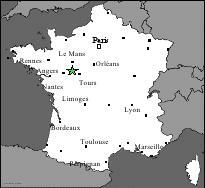 Gresillon is located near Baugé-en-Anjou, a small town in Anjou, 250 km south-west of Paris, in the region of the Loire’ castles between the cities of Angers, Tours and Le Mans. 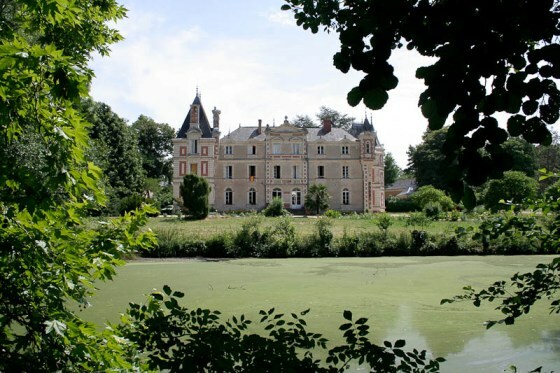 Gresillon welcomes you in its estate: a castle, several outbuildings and an 18 hectares’ park. The estate accepts stays of groups, stays declared at "Youth and Sports" ministry, and cultural activities in Esperanto. 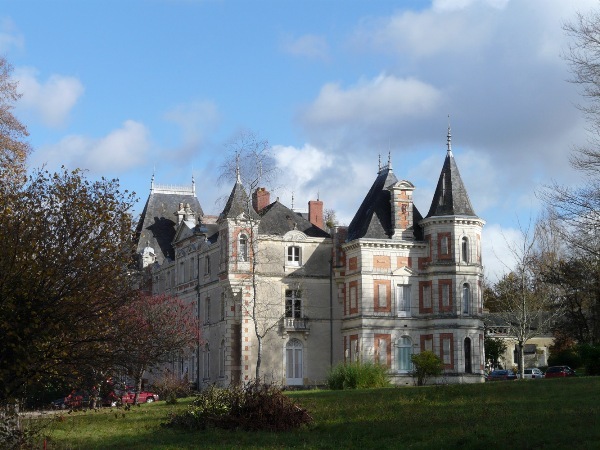 The castle and its outbuildings offer 24 rooms for 45-60 people. The rooms have a washbasin and partially a bidet. Toilets and showers are in the corridor. See the rooms. 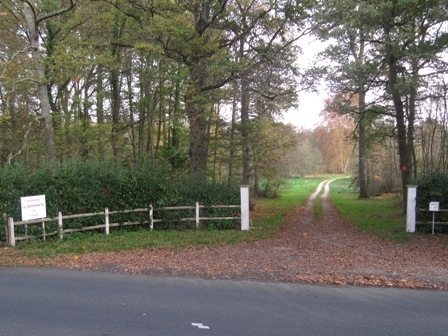 Camping on the meadow, sanitary installation (washbasins, showers, toilets). 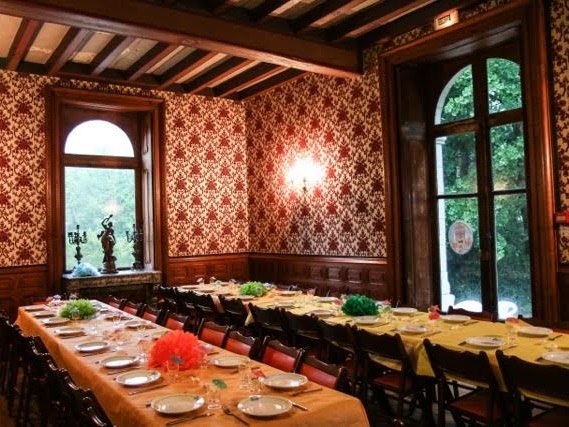 The castle’s kitchen allows to prepare meals following the valid hygienic rules (HACCP). See the list of the material, number of seats, photos. 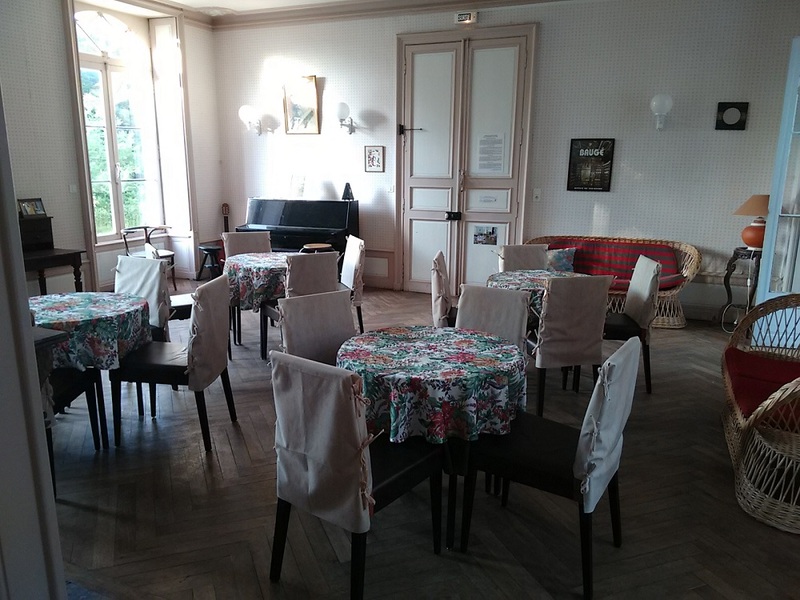 Two dining rooms with seats for up to 70 persons. Our cook can prepare your meals. See the menus. Observe the flora and fauna in our estate. 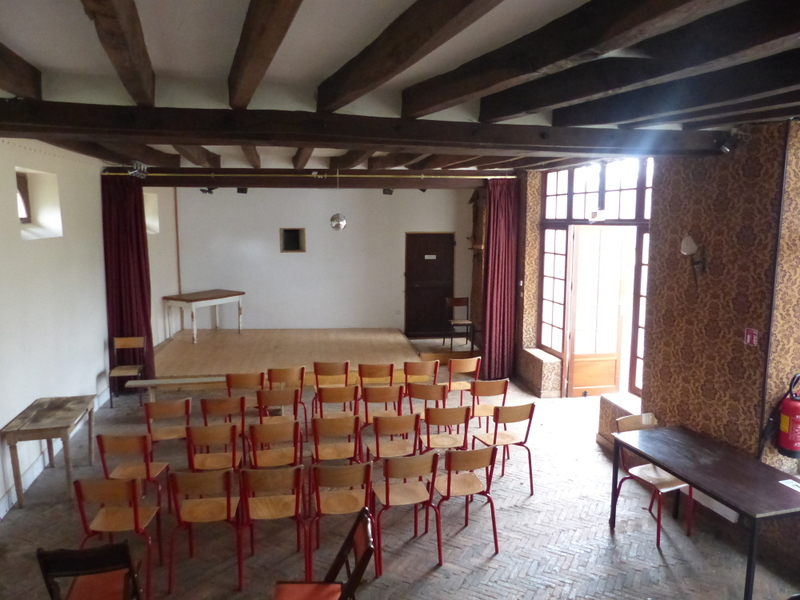 The Culture House offers to groups up to 60 people to rent the land and the castle. The tenant either prepares the meals himself (free management) or uses the services of our cook for the meals. The basic consumption of electricity, water and fuel are inclusive in the rates. 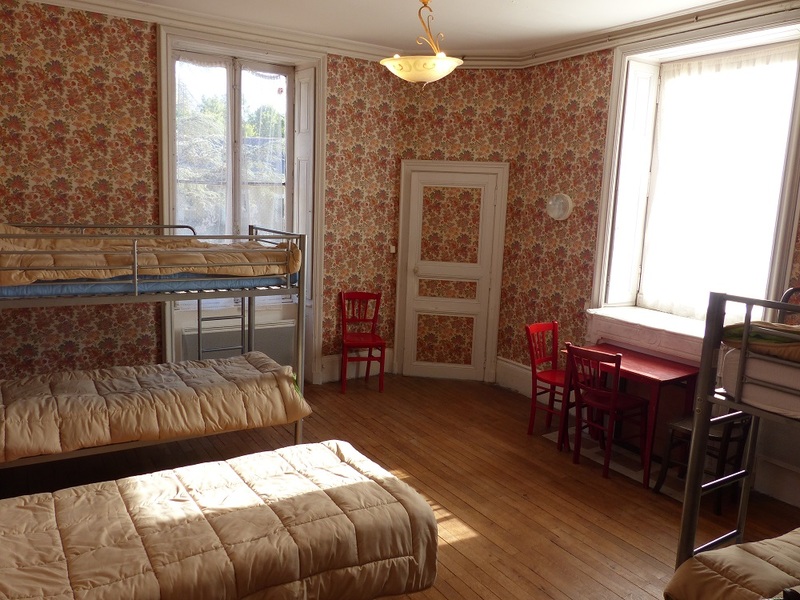 The rental of the castle is possible from March to December. Click on the rigth picture to display the calendar. 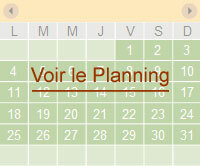 Weekends still availables in 2019 : 25 mai - 6, 27 juillet - 19, 26 octobre - 9, 16, 23, 30 novembre - 7, 14, 21, 24, 28, 31 décembre. Season In March, November, December (outside public and school holidays). In April, September, October (outside public and school holidays). In May, June, July, August, during the French school holidays. At Easter, Pentecost, Ascension Day, end of year celebrations. Periode Weekend, whole week or longer. Working days (Monday to Friday, without holiday). Overnight stay Private use of the castle and entire estate, only by your group. Occupancy of the bedrooms of a single floor. Sharing possible with another group. 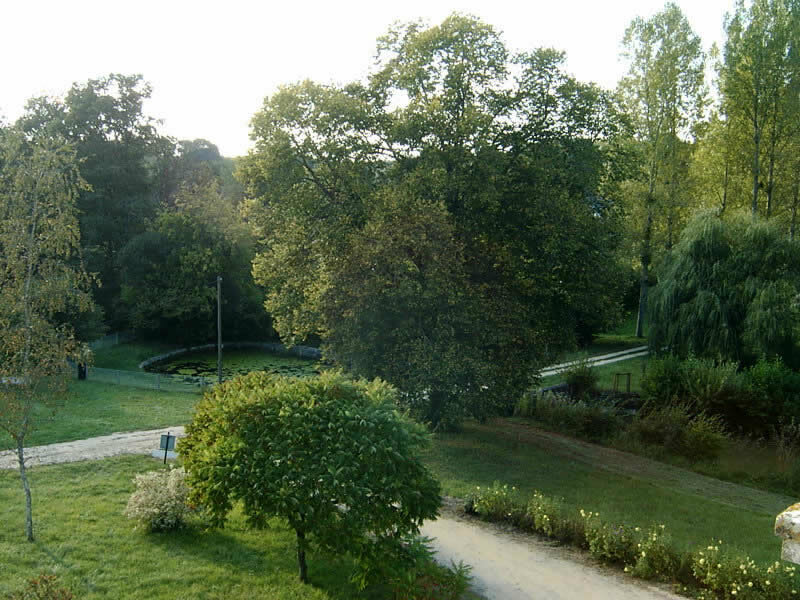 Stay without overnight Zamenhof hall and outdoor areas.